You don’t have to dig too deep on the internet to come up with an answer to the age old question “what’s the best diet to help me lose weight”. A quick Google search comes up with 102,000,000 results. And most of these diets promise you quick results without having to put in too much effort. Will these diets work? Well, probably yes, if you follow them to the T.
Will you keep the weight off forever? Well, probably not. Yet, you go on diet after diet, losing weight and regaining the weight (plus more) over and over again. This puts a lot of stress on your body physically, psychologically and emotionally. I’m willing to bet that you continue to put yourself through this vicious cycle because you don’t realize that there is another way. That way is through Intuitive Eating. Let me explain. Intuitive eating is eating based on your physiological need to eat, based on your inner signals of hunger and fullness and NOT based on situations or emotions. Being an intuitive eater means that you eat all foods without first checking the list of “good” or “bad”, “legal” or “illegal” foods that you have set up for yourself, or that the diet of the day tells you to eat or not to eat. You trust your inner wisdom to know when to begin eating and when to stop eating. Through this process, you achieve your natural healthy weight, without deprivation and restriction. You were born an intuitive eater and unfortunately the diet industry has played a huge role in moving you further away from trusting your inner wisdom. The journey towards reclaiming what you were born with requires a few key steps to start. 1) Commit to never dieting again. Yikes, this sounds scary doesn’t it? It’s very important to make the commitment to live diet free so that you are not influenced by the next great diet miracle that comes on the market. Remember, there will always be another gimmick that pops up to tempt you. But, if you make the commitment to yourself, and every morning when you wake up remind yourself of this commitment, you will protect yourself from falling prey to those false promises. 2) Throw away the scale. As a dieter, you probably measure your success based on the number on the scale. If the scale shows a weight loss, you view yourself as being “good” and successful. If the scale shows a weight gain, you are “bad” and unsuccessful. The tone of the day is determined by what the scale reads. An intuitive eater does not measure success based on external factors. An intuitive eater thinks about the “non-scale successes” that they are experiencing. These can be physical, emotional or spiritual. Maybe you are able to bend over and tie your shoes whereas before you couldn’t. Or, you can walk up and down the stairs at home without getting out of breath. These will help you to see that the lifestyle changes you are working on are making a difference and you no longer have to be fixated on the scale. 3) Seek the support you need on your journey. Sometimes going it alone is, well, lonely. There will be bumps in the road and it’s important to have the right support behind you to guide you over these bumps. It’s best if you combine professional support, such as from a registered dietitian nutritionist and certified intuitive eating counselor, along with a social support network. Knowing you are not alone on this journey inspires you to keep moving forward. Intuitive eating is not a diet and is not a quick fix. It’s a process and a journey of growth and learning. It’s the answer you’ve been waiting for. Bonnie R. Giller helps chronic dieters break free of the pain of dieting and get the healthy body they love. She does this by creating a tailored solution that combines three essential ingredients: a healthy mindset, caring support and nutrition education. Using her signature Freedom to Eat ForeverTM system, Bonnie helps her clients support and honor their mind and body. The result is they lose weight, keep it off without dieting and live a healthy life of guilt-free eating. Bonnie is a Registered Dietitian Nutritionist and Certified Intuitive Eating Counselor and has her Master of Science in Clinical Nutrition. 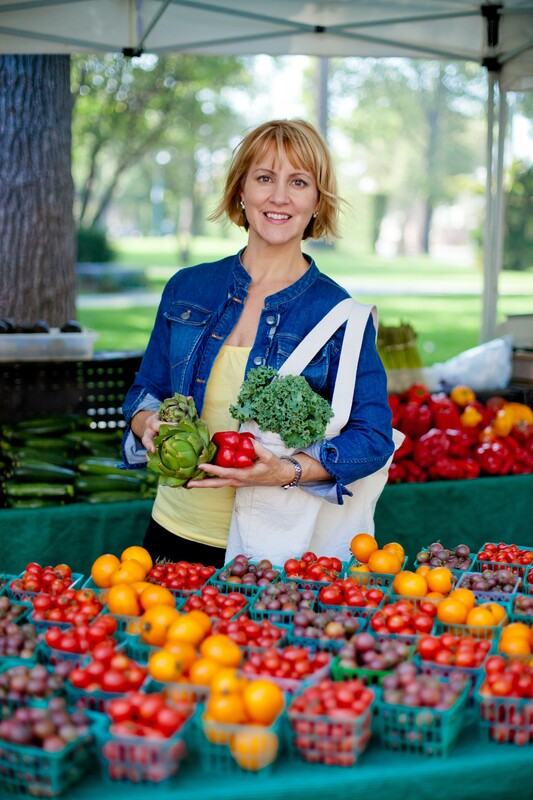 She has worked in medical nutrition therapy and counseling for over 26 years. Bonnie is very passionate about helping her clients regain the trust in themselves and their bodies so they can shift away from a diet mentality and learn to listen to their inner hunger signals. She is known for providing caring support and motivation as her clients reacquaint themselves with their inner wisdom. One of the simple pleasures of summer is visiting your local farmers market and coming home with a bag of super-fresh produce and unique foods made by local food artisans. It’s a wonderful opportunity to meet your farmers and learn more about where your food comes from. Shopping at a farmers market isn’t anything like running out to the grocery store though. To make the most of your trip, it pays to learn a few rules so you come home with what you want or need, rather than an empty bag, or one that’s full of who-knows-what-this-is, that will sit in the refrigerator until it goes bad. 1. Know what’s in season. Remember, the farmers at the market are selling the food they picked this last night or this morning, so don’t plan on finding pumpkins in June, asparagus in August, or strawberries in September. Learn what’s in season and what’s coming up, and plan your recipes and meals accordingly. 2. Go with a plan, but be flexible. If you know you’ll be shopping at a farmers market, plan a few recipes ahead of time and make a list, so you’ll be sure to pick up what you need. Cooking magazines and Pinterest are both always full of seasonal inspiration. Pick up your main ingredients like produce, fresh eggs, cheese, meat or fish at the market, and plan on hitting a grocery store afterwards to supplement the other ingredients. Sometimes though, despite your best plans, you might spy a fabulous and fresh fruit or vegetable that you never thought of, so by all means, be flexible! Some produce has an incredibly short growing season, and if you don’t grab it, you may be out of luck until next year. 3. BYBO&C. That stands for bring your own bags and cash! Many farmers do supply small bags for their purchases, but rather than risk trying to balance several ears of corn and a bunch of tomatoes in your two hands, bring a sturdy reusable grocery bag with a strong handle. Many farmers also appreciate cash (small bills especially), since it costs them extra to accept a credit card. 4. Timing is everything. If you want the best selection and the freshest produce, plan to arrive as soon as the market opens. On the other hand, if you want the best deals (because who wants to tote wilted greens back to their farm), go shortly before the market closes, and you may end up getting some extra goodies added to your bag. Just remember, farmers make very little profit on what they produce, so haggling is generally not appreciated. 5. Step outside the box. It’s OK to like what you like, especially when it’s produce, but if you see something unusual, or even something you recognize but don’t usually eat, ask the farmer what they like to do with it, or how they prepare it. You’ll be surprised at what amazing and creative ideas you’ll get. Sure, farmers can grow things, but most are also pretty handy in the kitchen. Some farmers markets also sell community cookbooks with lots of creative ideas for using all types of produce. Proceeds often support the market or the farmers, so it’s a win-win solution to the “what would I do with this” question. 6. Take it all! The ultra-fresh produce at farmers markets is perfect for canning, preserving and pickling, so buy lots and preserve it for later. It’s important to follow the rules and recipes for preserving foods, but once you learn the technique, it’s not as difficult as it may seem, and it’s such a joy to open a jar of homemade tomato sauce or strawberry jam in the middle of winter The National Center for Home Food Preservation has some excellent information on canning, freezing, pickling and any other method of preserving foods. 7. Volunteer. Farmers markets run on a tight, lean budget, and usually rely on grants and donations, in addition to their profits, to be able to stay open, so they really appreciate volunteers. In addition to doing something good for your market and town, you’ll get the inside scoop on what’s freshest, who has the best selection, and what to do with it once you get home. If you’re not sure where your closest farmers market is, use this directory that lets you search by zip code. See you at the market! FDA Proposed Changes to Nutrition Facts Label: But Is It Any Better? The Nutrition Facts label is getting a major overhaul for the first time since Congress mandated its inclusion on packaged foods in 1990. Half of Americans say they check the nutrition label on foods when they are shopping, however the majority of the label is often meaningless to them. Most people cannot relate grams of a nutrient or percentages of the daily value to the food that they are putting in their mouths. Serving size requirement changed: The Nutrition Labeling and Education Act requires serving sizes to be based on amounts of food and drink that people typically eat, not on how much they should eat. People are eating more, so servings are getting larger – this will be reflected on the food labels. For example, the serving on a label for ice cream will now be 1 cup, instead of ½ a cup. Single serve labeling: Packaged foods and drinks that are typically consumed in one sitting will have their serving size changed to reflect the calorie and nutrient content for the whole package. For example, a 20-ounce bottle of soda would be labeled as one serving rather than more than one. Dual column: For certain packaged foods that are larger, the label will have to identify both “per serving” and “per package” calories and nutrient information. For example, a pint of ice cream, or a bag of chips. This way people will easily see how many calories they are getting if they eat or drink the whole package in one sitting. My take: I’m not a fan of the serving size changes. Just because someone eats one cup of ice cream in a sitting, doesn’t meant that they should! This method of labeling doesn’t help to teach what a reasonable serving should be. Remove “Calories from fat”. Total Fat, Saturated Fat and Trans Fat are still required to be labeled. My take: I am in agreement with this change. We know now that type of fat is more important than amount of fat. Hopefully by removing “calories from fat” we can better teach people that this doesn’t matter as much as the type of fat they are consuming. Include “Added sugars”. Added sugars are considered empty calories, as they don’t provide any beneficial nutrients. The FDA proposes adding this as a separate line in addition to total sugar. This will make it easier for a consumer to know how much sugar occurs naturally in the product versus how much was added to make it sweeter. My take: This is a great addition – Americans have a really tough time deciphering the difference between natural and added sugars in products. This one is a bit harder to implement, as it will depend on what the FDA decides the definition of “added sugar” will be. For example, manufactures could decide to add fruit puree to sweeten something, which is in effect doing the same thing – adding sugar. Addition of Potassium and Vitamin D. Potassium has an important role in blood pressure regulation, and Vitamin D in bone health. These are two nutrients that many American’s don’t get enough of. Calcium and Iron will still be required on the label; Vitamins A and C could be included on a voluntary basis. The update also recommends that actual amounts of the micronutrients be listed instead of percent daily value. My take: I love that they are going to be putting grams or milligrams instead of percent daily value, this makes the number much more meaningful to consumers. Increased Font Size. Calories and serving sizes will be emphasized in a larger font in order to address obesity and the high rates of diabetes and cardiovascular disease that go along with extra weight. My take: Many people don’t pay attention to the serving size, and eat more servings (and therefore calories) than they realize. I like that these two items will be emphasized, as it is something that most Americans do need to be aware of. Measurements are still meaningless for most people. I’d love to see teaspoons of sugar in a serving, instead of grams. Fewer people might buy that fruit-flavored yogurt if they realized it contained 5 teaspoons of sugar. Percent daily value remains. While the footnote is apparently going to be updated to better describe what “%DV” means, I still find this measurement to be pretty useless. Majority of Americans need much less of much more than 2000 calories per day, in which case the percent daily value doesn’t do you much good. The ingredient list isn’t addressed. You can’t just judge a food by its nutrition facts. Many food companies try to get around the label by using not-so-great ingredients and then fortifying the product with vitamins, minerals, and fiber. Or calories are reduced by adding artificial sweeteners. No front-of-package labeling. Consumers still have no fast and easy way to distinguish nutritional value among similar products. Front of package labeling could help to highlight the good, bad or neutral value of a product. No matter what happens with the labeling updates, it will be awhile coming. All the public comments will have to be reviewed, the final rules issued, and then the food industry will be giving time to implement them. In the meantime, I’ll continue to emphasize whole, real foods and cutting back on foods high in sugar, salt and added fat. Alissa is a nationally recognized Registered Dietitian and Certified Strength and Conditioning Coach based in New York City. After working for six years with critically ill adults, she started Alissa Rumsey Nutrition & Wellness Consulting to help others improve their health and wellbeing, helping people create a positive, sustainable relationship with food and exercise. She works with companies to craft nutrition messages and curate effective online content and her expertise is regularly featured on television, online, and in print. Alissa earned dual Bachelor’s degrees in Dietetics and Exercise Science from the University of Delaware, and is completing a Master’s of Science degree in Health Communications from Boston University. In her spare time, Alissa can be found running in Central Park, traveling to far-off countries, and, as a self-proclaimed “foodie,” exploring the expansive New York City food and restaurant scene. The countdown to provide calorie counts and other nutrition information for menu items is in full swing for more than 250,000 restaurant locations nationwide. Faced with a December deadline set by the U.S. Food and Drug Administration (FDA) restaurant chains with more than 20 outlets are busily crunching the numbers to provide nutrition facts on their menus, websites and in-store signage. “Menu labeling is the biggest advance in providing nutrition information to consumers since the law that required Nutrition Facts labels on packaged foods was implemented 20 years ago,” said Margo G. Wootan, nutrition policy director for The Center for Science in the Public Interest. In addition to calories, written information on total fat, saturated fat, trans fat, cholesterol, sodium, carbohydrates, sugar, fiber and protein must be available upon consumer request. The intent of the new law is to guide diners toward healthier choices on the menu. Seeing the facts right up front can help diners avoid calorie bombs or at least be forewarned of the waistline busting cost of indulgent dishes and drinks. “What I like about the new legislation is that it holds restaurants accountable,” says registered dietitian Nicole King of the website Healthy Dining Finder.com. How do restaurants come up with the nutrition numbers? The FDA allows several methods including the use of software programs based on nutrient data bases designed to calculate nutritional analysis for recipes, using nutritional information already calculated for recipes in published cookbooks or the more costly but most accurate laboratory analysis of individual items. King says, “And restaurants have to show their work when they provide documentation to the FDA so it’s clear what method was used.” From doing the math to making sense of ways to best present the nutrition numbers on menus, registered dietitians are finding opportunities to consult with restaurant companies. Some national restaurants groups employ full time dietitians for many services including marketing and menu planning. Many others are enlisting the professional services of dietitians as part time and project based consultants to help them follow the new federal regulations for nutrition menu labeling. For the restaurant consumer it’s a win-win of taste and health. Staff training is part of the new labeling law too to ensure that cooks follow the recipes. A liberal hand with the salt or mayonnaise in the kitchen will mean the numbers on the menu won’t match the dish being served. “We have to remember this is hand crafted food not made to specs such as an Oreo where every cookie is exactly the same size. There are going to be slight variations,” says King. Other challenges behind the scenes are happening behind the bar. From pina coladas to cosmopolitans, alcoholic beverages are included in the menu labeling law even though they weren’t part of the packaged foods labeling laws. That’s why you don’t see calorie counts on a bottle of vodka. “The alcohol piece was not regulated at all. But now cocktail menus have to list nutrition information,” says King. So now when you say ‘make mine a double’ don’t forget to double the calories too. Eat more plants. That’s the simple advice coming from everyone’s lips, from best-selling authors like Michael Pollan to the U.S. Department of Agriculture in the latest version of the Dietary Guidelines for Americans. For the first time, the nutrition establishment, including the Academy of Nutrition and Dietetics and registered dietitians, researchers, and academics in the field of nutrition are in agreement that the diet prescription for optimal health and well-being is one that focuses on whole plants. Scientific research is accumulating on the health benefits of a plant-based eating style, which include the reduced risk of cardiovascular disease, diabetes, Alzheimer’s disease, cancer, and obesity. Throw in the environmental benefits, such as fewer resources required to produce food, and a plant-based diet seems like the clear winner in the race for defining the optimal diet for today, as well as the future. Plant-based diets, such as veganism, have grown in popularity, thanks to the attention from stars like Oprah, who requested her entire staff to go vegan for one week on her television show last year; Alicia Silverstone, actress, vegan and author of The Kind Diet; and Ellen Degeneres, the popular talk show host who enthusiastically supports a vegan diet. Yet, plant-based diets are very personal and unique, covering a wide range of dietary preferences and observances. The definition of a plant-based diet is one that focuses on plants, which leaves room for a spectrum of choices, including vegan (no animal foods), lacto-ovo vegetarian (no animal flesh, but allows for dairy and eggs), pescatarian (no animal flesh, except for fish and seafood), and semi-vegetarian (small amounts of animal foods). Adding to the mix is today’s generation of plant-based omnivores—those that are not interested in giving up animal foods completely, but recognize the health and environmental advantages of reducing their animal food intake. You can thank the Meatless Monday program for fueling the idea that everyone—not just vegetarians—should eat less meat and more plants. Their message is sweet and simple: You and the planet can benefit by eating less meat, so just shun it one day a week. Why not Monday? Countless organizations, restaurants, schools, and hospitals have jumped onto the Meatless Monday bandwagon to celebrate this simple concept. While the number of vegans and vegetarians is still relatively low—about 5% of U.S. adults are vegetarians, and about half of those are vegans—16% now report eating no animal flesh at more than half of their meals, according to a recent Vegetarian Resource Group poll. Getting back to our roots by eating more whole plants in their natural form has a multitude of benefits for humans. Since the beginning of time, we’ve enjoyed a unique relationship with the plants that surrounded us. From the first time our early ancestors plucked wild seeds, grasses, herbs, grains, and fruits and saved them in pouches for the future, they realized that these powerful plants had the ability to nourish and sustain them. Just like humans evolved over time to better suit their environment and survive threats, so did plants. These remarkable, living plants built up defenses against forms of pestilence, such as the harmful effects of UV radiation, disease, and predators. Plants developed thousands of phytochemicals, such as flavonoids and phenols, often concentrating them in the colorful outer skins of their fruits. These compounds provided a self-defense system that ensured the species survived the test of time. Today, scientists know that we have a symbiotic relationship with the plants that nurtured us over the melenia. We plucked their fruits, feasted on their nourishing properties, and spit out their seeds, thus helping the plant to propagate and survive. This simple act helped to ensure the survival of both humans and plants, but we got something else in the bargain besides sheer calories to fuel our bodies. All of those defensive compounds in the plants seem to confer similar properties to humans when they eat them. It’s only been in the last few decades that scientists have begun to understand how the thousands of bioactive compounds found in plants, from resveratrol in grape skins to anthocyanins in blueberries, protect health. These compounds, which are often the pigment responsible for the plant’s brilliant color, offer a range of antioxidant, anti-inflammatory, and unique therapeutic benefits. Both oxidative stress, the damaging effects of free radicals on body cells, and chronic inflammation, when the body’s natural defense mechanism is triggered and doesn’t “shut off”, are at the root of today’s modern day chronic disease killers, such as cancer and heart disease. Indeed, study after study has linked consuming plant foods—rich in antioxidant and anti-inflammatory properties—with lower disease risk. And beyond that, particular plants and plant compounds have special activities. For example, lutein and zeaxanthin found in yellow and orange vegetables like corn and orange peppers protect against advanced macular degeneration, the number one cause of age-related blindness in older people. And tomatoes, rich in the ruby red pigment lycopene, show promise in the prevention of prostate cancer. It’s important to note that the benefits found in plant foods are related to eating the whole food in its unique, complex form—fiber, vitamins, minerals, phytochemicals, and all. A synergy is found among all of these nutrients in plant foods; when the nutrients are isolated and consumed individually in the form of a supplement, we don’t gain the same benefits. Something special happens when we eat the plant food in its whole form, whether we chew a kernel of whole grain with its bran coating, endosperm and germ, or bite into a fresh strawberry and savor its skin, flesh, juice and seeds. Unfortunately, our diets have grown distant from the whole plant foods that sustained us; today we often feast on processed foods that are unrecognizable from their plant origins. The health benefits found in a plant-based diet are not attached to a diet filled with such refined, carbohydrates such as sugars, oils, and white flour—all technically plant foods. Most traditional diets around the world, from the Mediterranean to Asia to South America, are based on plants. In many less developed countries, where people still eat their traditional, plant-based diets, chronic disease rates are very low. But when people move away from these countries to the U.S. and switch to a Western diet, characterized with the inclusion of large amounts of meat, saturated fat, processed foods, and salt and low amounts of whole plant foods, they begin to experience a surge in chronic disease rates. This has been observed in many populations; probably never as famously as in the Pima Indians of Mexico, who enjoy very low rates of obesity and diabetes in their native environment, but once the Pimas leave their homeland for the U.S. and consume a Western diet, they are rewarded with obesity and one of the highest rates of type 2 diabetes in the world. Americans love their meat; a large steak sizzling on the barbeque is practically a national icon. The problem is the size of that steak has swelled over the years, according to surveys. Many steakhouse menus proudly offer a 16-ounce cut—a full pound of meat—and call their 8-ounce portion the “petite” serving. This oversized attitude toward meat also pervades American home-style cooking, where we plan our meals based on what animal protein will star at the center of the plate. An 8-ounce steak may be an ordinary dinner in America, but it’s considered obscene in many parts of the world, where it would be the appropriate amount to feed an entire family for a meal or even a week. According to the National Cancer Institute, the U.S. consumes meat at more than three times the global average. Our meat obsession wasn’t always so grand—the last century was marked with periods of economic hardship and food scarcity during which meat was considered precious. A small piece went into a pot of soup or beans for flavor and the best cut was reserved for Sunday dinners. Meat consumption has most assuredly risen over the years—it’s doubled between 1909 and 2007. Across the world, meat consumption is typically an indicator of economic wealth: As income levels rise, so does meat consumption. Despite a current shift toward higher poultry consumption in the U.S., red meat—including beef, veal, pork, and lamb—is still the clear winner, representing 58% of the meat we consume. Americans are eating on average eight ounces of meat per person every day. So, what’s the big problem with eating so much meat? Several well-designed studies indicate that a high-meat diet—especially red meat and processed meat, such as bacon and hot dogs—is likely to cause health problems down the road, such as the increased risk of heart disease, type 2 diabetes, certain types of cancer, and metabolic syndrome—the clustering of several risk factors that put you at high risk for type 2 diabetes and heart disease (Circulation, 2010; American Journal of Clinical Nutrition, 2009; PLoS Med, 2007). The negative effects of this type of diet could be caused in part by the presence of carcinogenic compounds in cooked and processed meats and by the absence of health-protective plants in this style of eating. In fact, researchers from the National Cancer Institute report that, given the plausible scientific evidence linking red and processed meats to cancer and chronic disease risk, it might be time for health experts to start working on bringing our levels of meat intake down. At the same time, research supports a number of bonuses from taking on a vegetarian diet. In a position paper published by the Academy of Nutrition and Dietetics, in which an independent and systematic review of all the research on vegetarian-based diets was evaluated, the organization concluded that well-planned vegetarian diets are completely healthful and nutritionally adequate for people throughout all stages of life and that they have a number of health advantages, including lower blood cholesterol levels, lower risk of heart disease, lower blood pressure levels, and lower risk of hypertension and type 2 diabetes. In addition, vegetarians tend to have a lower body weight and lower overall cancer rates, lower intakes of saturated fat and cholesterol, and higher levels of dietary ﬁber, magnesium, potassium, vitamins C and E, folate, carotenoids, ﬂavonoids, and other phytochemicals. There’s no doubt that our human ancestry withstood the test of time thanks to its hunter-gatherer traditions. While we typically conjure up images of cavemen brandishing hand-crafted spears in pursuit of wild beasts, archaeologists like to remind us that early humans were probably prey more often than predator. Plants were a much safer source of nourishment and early humans gathered an abundance of plant materials along their pursuit for survival. Our early ancestors certainly relied upon animal foods such as game, fowl, and fish to supplement their plant food diets, but today’s world is vastly different. The animal foods they consumed were wild, lean and rich in omega-3 fatty acids, but today’s meat supply is based on a modern system of confined animal feeding operations. In a CAFO, animals are pressed together so tightly they can barely move, where they will live short, miserable lives, caked in manure and fed a grain diet laced with antibiotics they were never meant to eat—all for the purpose of providing cheap meat to the masses. Today, we consume billions of pounds of animal products, contributing to inhumane animal practices and the use of large amounts of chemical pesticides and fertilizers to produce animal feed, as well as large volumes of water and fuel to take animals to market. Byproducts of animal food production include greenhouse gas emissions, toxic manure lagoons, deforestation, and pollution of groundwater, rivers, streams, and oceans. You can make a serious impact on your carbon footprint by eating fewer animal foods, according to several studies. Italian researchers performed a life-cycle assessment to evaluate the cradle-to-grave environmental impact of several dietary patterns (European Journal of Clinical Nutrition, 2006.) They discovered that an organic vegan diet had the smallest environmental impact, while a conventionally farmed diet that included meat had the greatest impact on the environment—and the more meat consumed, the greater the eco-impact. Additionally, beef was the food with the single greatest impact on the environment; other high-impacting foods included cheese, fish and milk. In essence, animals make inefficient “food production machines,” using up lots of feed, water, and fossil fuels to turn plants into protein, said the scientists. To produce 1 calorie from beef requires 40 calories of fossil fuels, whereas producing 1 calorie from grains requires only 2.2 calories of fuel. Thus, plant-based diets can play an important role in preserving environmental resources and in reducing hunger in poor nations. According to a recent analysis conducted by CleanMetrics for the public advocacy organization Environmental Working Group, greenhouse gas emissions generated by conventionally raising lamb, beef, cheese, pork, and farmed salmon—from growing the animals’ food to disposing of the unused food—far exceed those from other food choices like lentils and beans. EWG found that eating less meat can significantly reduce your carbon footprint. If you ate one less burger a week for a year; it would be the equivalent of driving 320 miles less. And if your four-person family took steak off the menu one day a week for a year, it’s like taking your car off the road for almost three months. If everyone in the U.S. ate no meat or cheese for just one day a week, it would be like taking 7.6 million cars off the road. Sure, our country is facing runaway obesity rates, but keep in mind that one billion people around the world don’t even have enough food to eat—a fact that will become even tougher to deal with in 2050, when nine billion people will fill the planet. Let’s face it: Our current agricultural practices and diet patterns are unsustainable. But environmental experts agree on one important principal that could increase the world sustainability of food for the long haul: Growing animal feed on prime croplands, no matter how efficiently, is a drain on the human food supply. Dedicating croplands to direct human food production could boost calories produced per person by nearly 50%, according to a recent report from researchers from Canada, the United States, Sweden, and Germany (Nature, 2011). When you put the evidence altogether, the argument is quite compelling. While our dietary past focused on balancing a plate with animal protein at its center, today’s plate should be focused on a variety of whole plant foods—whole grains, beans, lentils, peas, nuts, seeds, vegetables, and fruits. This diet paradigm should help ensure the health of both humans and the planet for years to come. Sharon is an award-winning nutrition expert and author of The Plant-Powered Diet and Plant-Powered for Life (The Experiment). She also serves as editor of Environmental Nutrition, writes for her blog The Plant-Powered Blog, and is a judge for the James Beard Awards. Living in the chaparral hills overlooking Los Angeles with her family, she speaks on plant-based nutrition frequently. Are you ready to build a community of Healthy Heroes? Have each child write their name on the card, as well as their favorite fruit and their favorite vegetable. After they’ve chosen their favorites, have them create a name for their SUPERfood HERO using the fruit and vegetable name. IE: My favorite fruit is pineapple and my favorite vegetable is an artichoke. So, I’ll name mine artichapple. Make sense? Great! After they’ve named their SUPERfood HERO, have them draw a picture of what this SUPERfood HERO would look like. After they’ve filled out the activity card, have them turn it in and give them a #HealthyHero sticker for becoming a #HealthyHero. Hang or place all of the activity cards together and take a picture. This would be great to send home to parents and to share with the rest of your community to see how each kid has become a #HealthyHero. But, don’t stop there. WE want to see your Healthy Heroes too! So be sure to email your pics to info@ncescatalog.com, or share them with us on Facebook or Twitter. Making learning about fruits and vegetables fun is critical in the success of raising a healthier generation! We’re so impressed by all the efforts that we see every day by others JUST LIKE YOU to teach kids the healthy benefits of fruits and vegetables. Hopefully these free nutrition resources can be one more tool you use to spread your message. Have fun!! As dietitians, we all hear crazy stories from our patients about the things they’ve been told regarding their health. Sometimes the things they say are so disturbing, we bottle them up inside and try, with all our might, to pretend like we never heard them say it. But, others are funny enough that we have to share with everyone around us! We’ve been compiling some of the favorites that we’ve heard from other dietitians so that we can share them with you here on the blog. Have you heard any of these? Patient in a wheelchair, with 2 below-knee amputations was sucking down packets of mayo in the hospital cafeteria, telling people freely “I have diabetes and can’t eat carbs”. Because we all know that if it’s brown, it’s a whole grain… right? 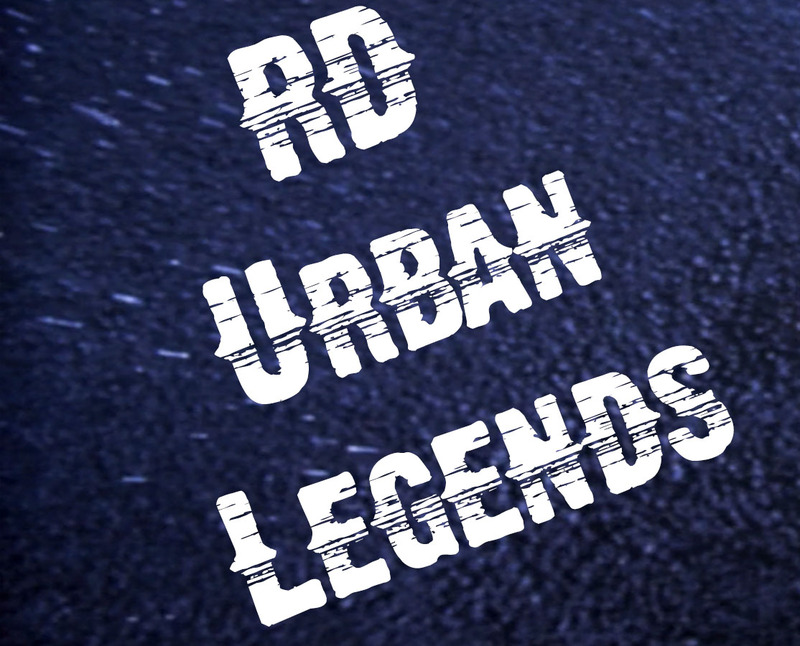 Thank you to everyone who shared your best RD Urban Legends with us! We got a kick out of reading all of them! Do you have any stories to add to this list? If so, please share them in the comments below or email us at info@ncescatalog.com. We could all use a good laugh today!